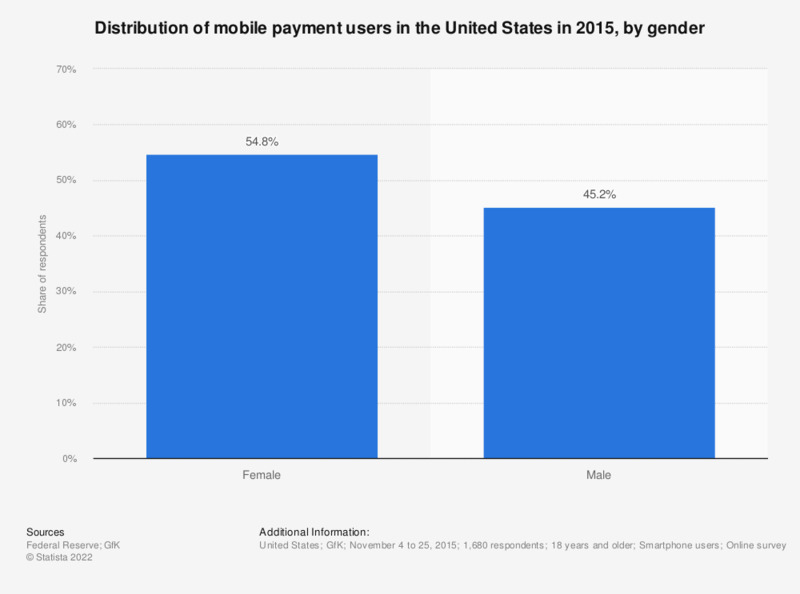 This statistic provides information on the usage of mobile payment services by U.S. users in 2015, by gender. It was found that 54.8 percent of U.S. smartphone users who had used mobile payment services in the past 12 months were female. The original question refers to individuals who have used mobile payments "in the past 12 months". Which of the following brands would you trust to deliver a mobile wallet app, on a smartphone? When did you start using mobile payments?